New iTouch on Thursday and AirPower Mat on Friday? Apple gettin’ their name in the news ahead of showtime on Monday. NO BLACK AIRPODS?!?! WHAT THE F^}%]!!!!! But there are black wraps for them out there . Black or any color actually. ! Definitely will get these. Just in time for my birthday. Shame that black is not an option. Maybe I will play with painting my Gen1 earbuds black once the new ones come in. Great how Apple are staging the releases. I’ve been asking for that for a while. In future it would be better to spread it out over 4 weeks. Gets more press and increases the perception that Apple are always bringing out new devices. I wonder if I’ll be able to actually use this version to make a phone call? Most frustrating experience ever. No audio is passed when I accept a call on the current generation. Re-pair them to the iPhone and it works once, then goes back to this state where the caller can’t hear me. They work great for music mind you…sigh. I ordered mine the first day the originals came out and about 2-3 months later I started having the same problem. The fix that worked for me at least, was with both fully charged, to unpair them, then restart the iPhone with them no where near so it didn’t immediately try to pair. Then go to the AirPods and pair them. For me, never had the problem again, maybe it will work for you. I appreciate your suggestion and will try tonight again. It’s an extremely common problem – the supports forums are littered with hundreds of people experiencing it. Apple has remained silent on this. Doesn’t this show that Apple is very serious about headphones? They have really been making strides in audio (HomePod, Series 4 watch speaker, iPad Pro with four pairs of woofers/ tweeters). 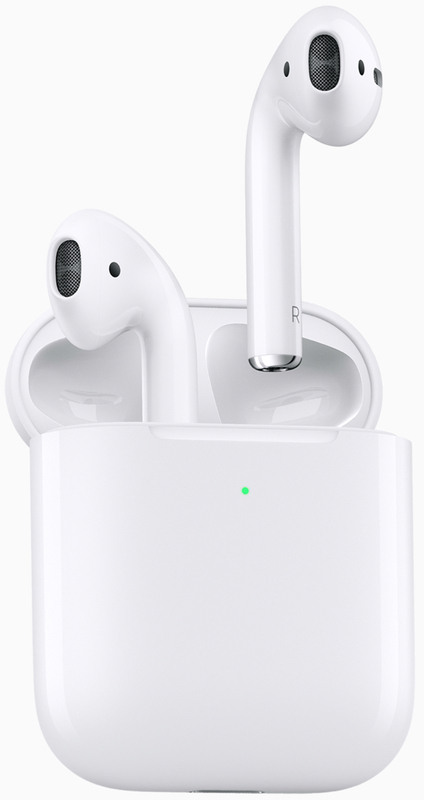 I’m sure products with the H2 chip are already in the testing phase… over-ear Apple-branded phones and third generation AirPods. Can’t wait to HEAR the future!